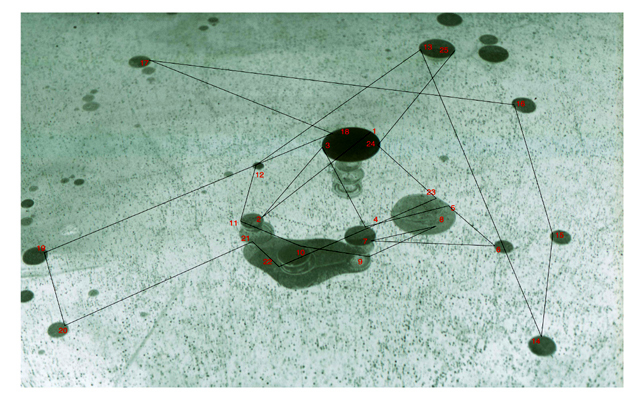 This is a series of 12 photographs of air bubbles frozen in black ice, which have been scanned and fed into a computer program with Human Eye Gaze Response capabilities. The numbers indicate the human subject's order of choice and retinal attention across the image. These are similar to my earlier works with cats and fish however here, a human subject is used instead and progressive movement is created by the human subject's eye.